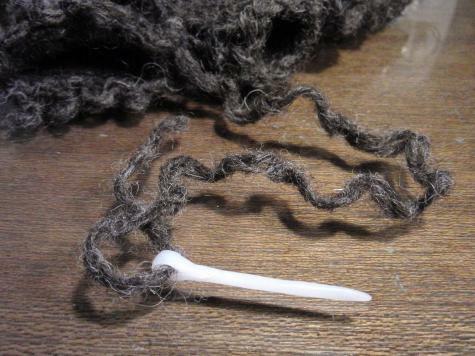 These fingerless gloves were beginning to unravel. Fortunately we noticed the problem before it got too bad. 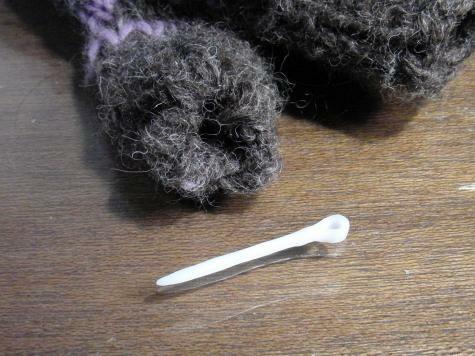 We had some regular-size needles lying around, but they were way too small for this thick woollen thread. 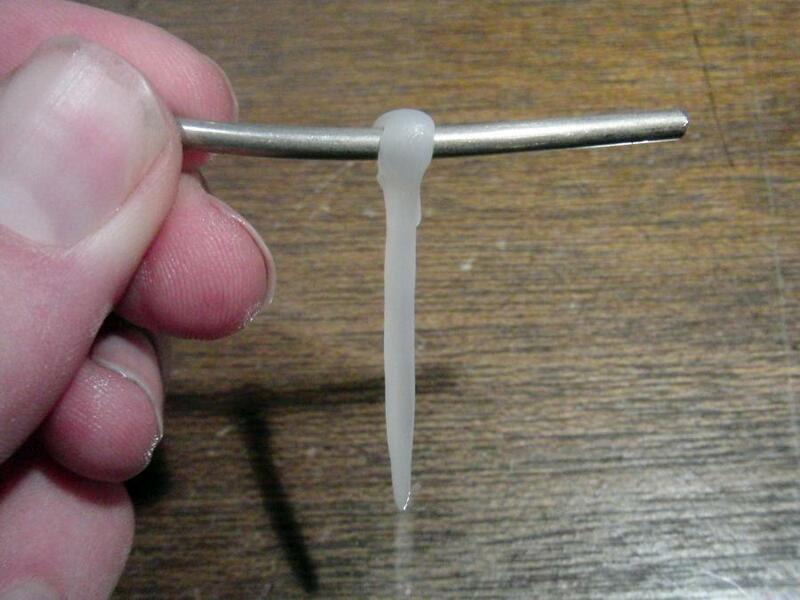 So we made a bigger needle out of Plastimake. It was really easy, we wrapped a small piece of warm Plastimake over a short segment of wire. We rolled the needle tip into a point with our fingers, then dipped the whole thing in cold water to lock the shape. 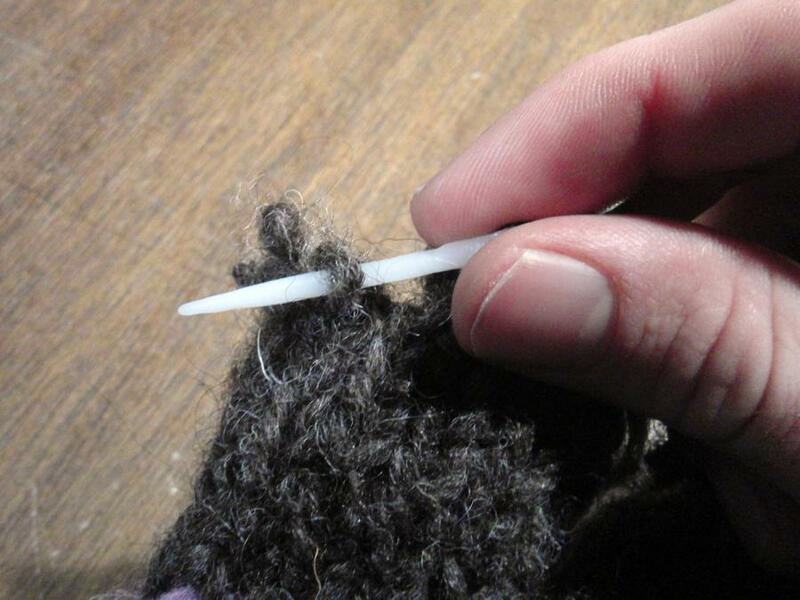 The new needle is easy to thread, and it only took a few minutes to repair the gloves. This needle uses 0.3g of Plastimake.